How Much Does A Bowl Of Ajisen Ramen Really Cost? Most of us would have known and eaten at the well-known Japanese restaurant Ajisen Ramen. 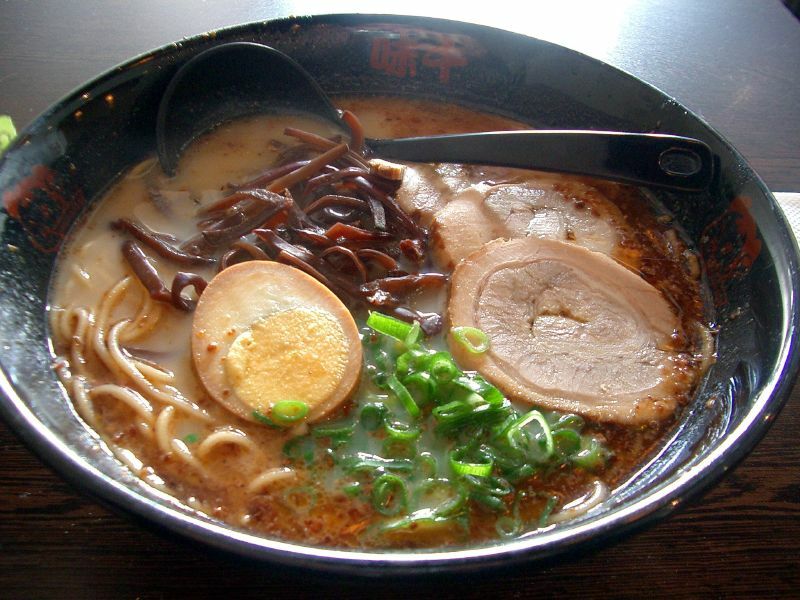 Ajisen Ramen originated from Kumamoto, Japan in 1968, and is best known for its rich and aromatic soup base that is derived from hours of boiling pork bones. Even while you enjoy a bowl of their Tonkotsu Ramen, not everyone realize that the Ajisen Ramen outlets in Singapore are actually a franchise brand operating under SGX listed entity, Japan Foods Holding Ltd. Being a public listed company means that anyone can be a part owner of Ajisen Ramen in Singapore simply by investing in its parent company, Japan Foods Holding Ltd.
Like all publicly listed companies, Japan Foods Holding Ltd. is required by the Singapore Stock Exchange (SGX) to provide regular disclosure of their financials and business operations. This provides an area of interest for us. While food websites and bloggers may spend the bulk of their time trying out different dishes on the menu and giving their reviews on the quality of the food served by restaurants, we look beyond the food and instead “review” the financial figures of the company operating these food outlets. A look at the FY2015 annual report of Japan Foods Holdings Ltd shows that Ajisen Ramen contributes 43.9% to the Group’s total revenue. Other well-known brands that contribute significantly to the total revenue include Menya Musashi (19.7%), Osaka Ohsho (13.4%) and Fruit Paradise (6.7%). How Much Does It Really Cost To Make A Bowl Of Ramen? While it is not possible to break down the profit and loss (P&L) from each of these individual companies under the Group, we can still gain some insights into Ajisen Ramen by looking at the P&L of the consolidated group. For FY2015, the group reported total sales of about $62.7 million. In comparison, the amount spent on the raw materials (i.e. your noodles, ingredients, meat, vegetables) was only about $10.4 million, or about 16.6% of revenue. A simplistic way to understand this would be to assume that if a bowl of ramen is sold at $12, the cost of the ingredients used would be about $2, or about 16.6% of the sales price. Does This Mean F&B Restaurants Are Making Huge Profits? It is easy to assume that F&B brands like Ajisen Ramen are making huge profits because they are selling noodles at 5 times the cost it takes to produce them. However, that is far from the truth. While the cost of ingredient for the noodle may only be 16.6% of sales price, the cost incurred by the company for selling and distribution of the noodle is almost 71% of total sales. In other words, even though the ingredients in your ramen costs only $2 to purchase, about $8.50 is required to actually cook and serve the ramen to you at the air-conditioned restaurant. Selling and distribution costs include items such as the salaries of the employees, rental cost paid to the landlord, utility cost and depreciation of equipment bought. At almost 71% of total revenue, we can easily deduce that the biggest expenses for restaurants are not really the ingredients they pay to make their food, but rather the high operating expenses they incur because of rental and manpower requirements. The final net profit margin for Japan Foods Holding is about 7.6%. In simplified term, that means Ajisen Ramen makes a profit of about $1 for every bowl of $12 noodle that they sell. Here is a simply summary table of the likely cost of where your money is going into each time you buy a bowl of ramen. Simply relating the F&B sector to only restaurants, food outlets and supermarkets that we see around us is a great injustice to the rest of the sector. That is because the sector is a lot more than just the food brands that we see around us. Here is an illustration of the value chain of the F&B Sector taken from a presentation at an Investor Education Seminar organised by SGX. The example of a Laksa was used in this instance. You can click on the link if you want to find out more. Thinking that restaurants and supermarkets are the companies that bring us the food we consume daily is like believing that the waiter who served us our food was actually the person who cooked it. It forgets about the people (e.g. the chef, his assistants, the dishwashers) who work tirelessly behind the scene to make your meal an enjoyable one. The listed companies at the end of the value chain (e.g. Breaktalk, Sheng Siong, Soup Restaurant, Dairy Farm & Tunglok Restaurants) are the ones that people are most familiar with. Similar to the waiter at the restaurant, these are the brands we interact with us and whom we consume our goods from. Other companies like Golden Agri and Oceanus Group are equally critical in ensuring the smooth operation of the value chain. There is a lot you can learn about your favourite restaurant, food brand or supermarkets simply by looking at their financial figures. For example, you would quickly learn that selling a bowl of Ramen at a restaurant situated in a shopping mall is not as profitable as what you may think, in spite of the significant premium you pay compared to the fishball noodle sold at the coffee shop. The challenges faced by our restaurants due to cost pressure from manpower and rentals are also very real. Food may not always be expensive, but getting them well prepared and served at a restaurant is never going to be cheap as well. If you like to know more about other investment aspects of the F&B sector, you can refer to this playlist on Youtube that covers an F&B seminar recently organised by SGX. It is worth having a good understanding of how the F&B sector functions and the different challenges the sector faces. If you are keen to stay up to date with the latest news about the F&B sector, you can like the SGX My Gateway Facebook Page.